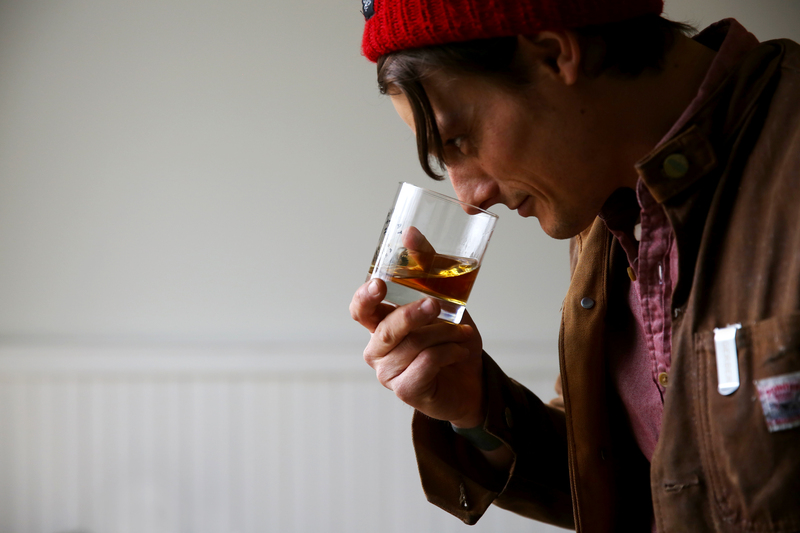 What happens when you flavor a whiskey with all natural fruit? 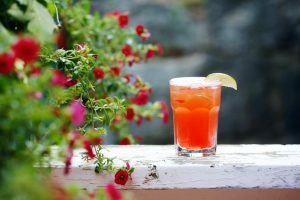 So many flavored whiskeys out there rely on artificial concoctions to mimmick whole ingredients. 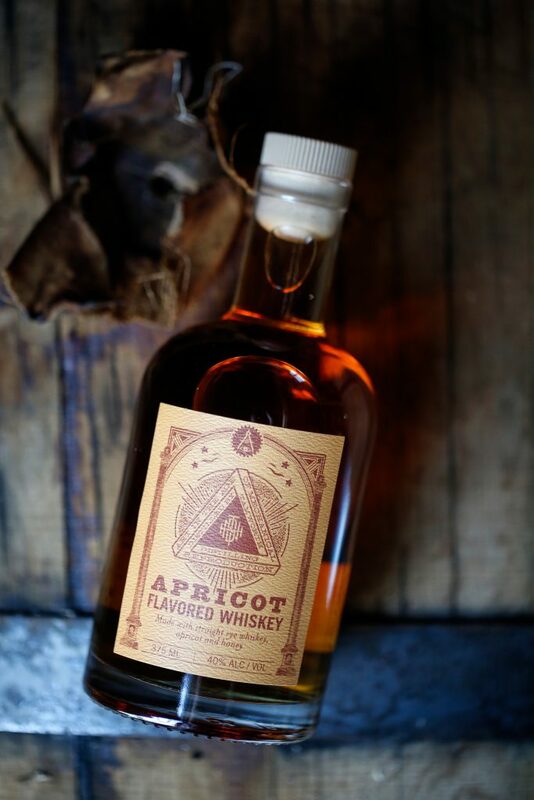 We simply infused apricots in a straight rye whiskey, treating it like the all our other infused vodkas and cordials (but this time Rye!). We receieved apricots from a farmer friend in upstate New York, and pressed them in Tamworth while the cold weather was still with us. The nectar was added to our base “Camp” rye whiskey and placed back in the original whiskey barrel to mellow for over 5 months. It was then pulled from the barrel, back sweetened with a tad of Wild Flower honey and bottled. Easy Peasey. Warm and aromatic apricot pie nose, the malty stoneyfruit rye adds structure to the apricot stone fruit sweetness. The surprising depth of the two year whiskey base, as well as the additional time in the barrel adds a mellow leather note. The apricot nectar still gives a tartness that is reminiscent of the fresh fruit skin and aroma. Vague wiffs of wildlower honey evolve off the nose. The taste lends a fruit juice tartness that borders on hard candy. The almost Macintosh apple peak is rounded over with warm barrel notes of caramel and vanilla. the smooth honey flavor moves on the mid-palate and sends some wildflower flavors into the nose. The finish ends up slightly buttery with a pastry and brown sugar. 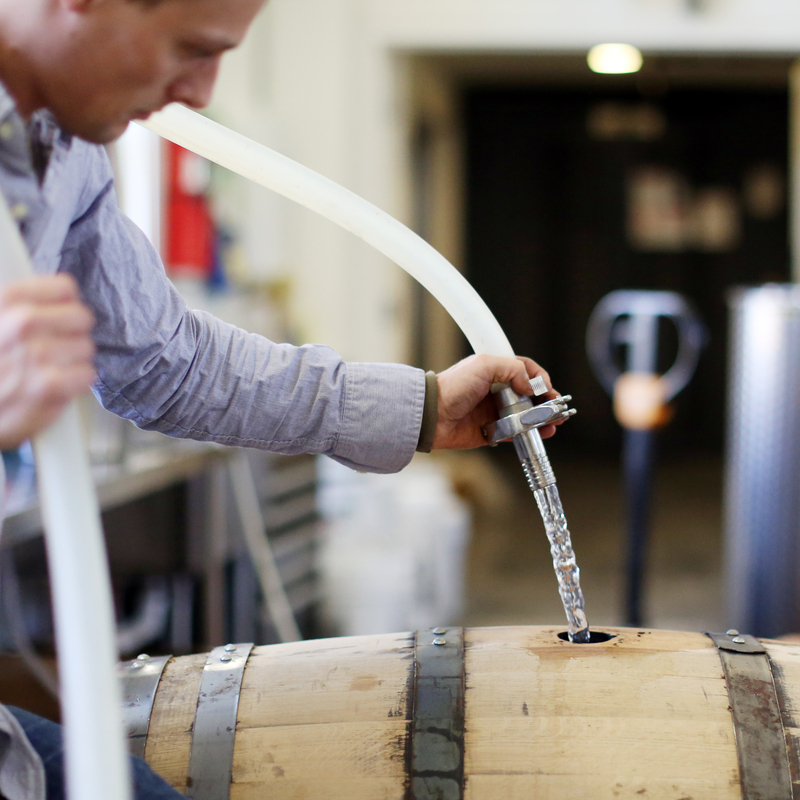 The balance of sweet, tart and grain help this flavored whiskey from being too cloying. 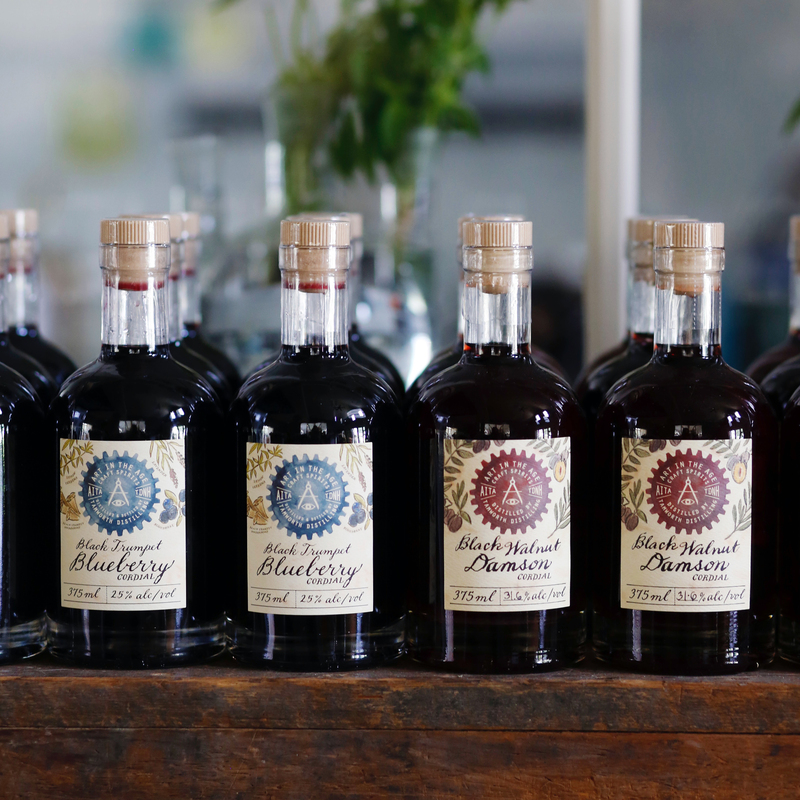 We’re so honored to be nominated as the country’s Best Craft Specialty Spirits Distillery for the second year in a row, by USA Today. 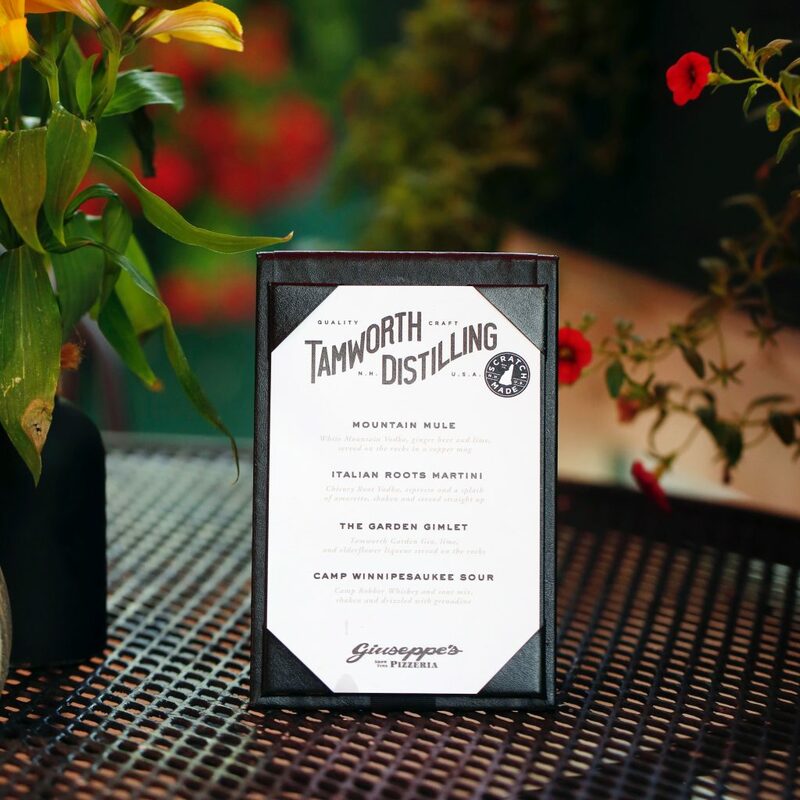 We’re especially humbled by all of your continued support, but we’re asking you for just one more favor: Put down that #scratchmade whiskey and vote for Tamworth Distilling in the 2017 USA Today Reader’s Choice 10Best Awards! You can vote once a day by clicking HERE. 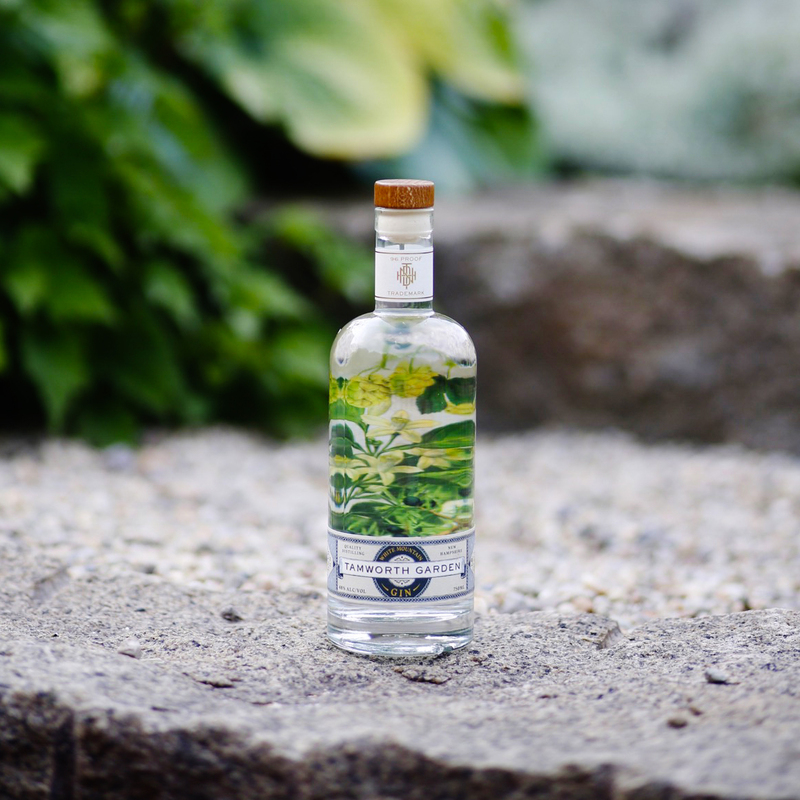 From start to finish, each spirit we make embodies our #ScratchMade philosophy: local, house-milled grain, pure water, herbs and botanicals from our woods and gardens, along with local fruits and vegetables. Many distilleries buy their whiskeys pre-aged in bulk containers, but here at Tamworth Distilling we go about things the old fashioned way. 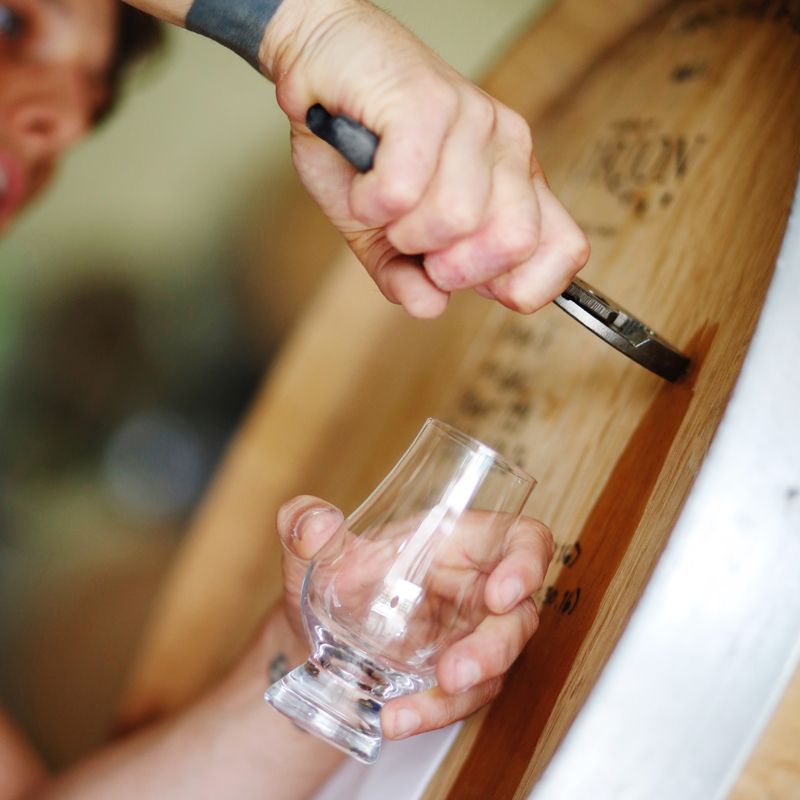 Our whiskey and brandy begins just as all of our spirits do, with a scratch made base made from grains that we mill in-house. Over the years, we successfully bottled limited quantities of 3 sought after whiskeys: William Whipple’s Winter Wheat Whiskey, Tamworth 1766 Rye Whiskey, & Rye or Die. 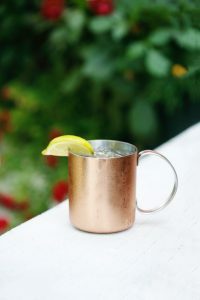 Water is an integral ingredient in many processes that go on to produce spirits. 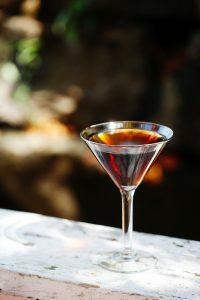 After all distilled alcohol is known in Latin as aqua vitae or “water of life”. Even the word “whiskey” is an anglicization of the Gaelic word uisce meaning “water”. Water is where all spirits begin. August is National Water Quality month, a time to focus on the importance of protecting our rivers, lakes, and oceans across the country, as well as the water we consume. 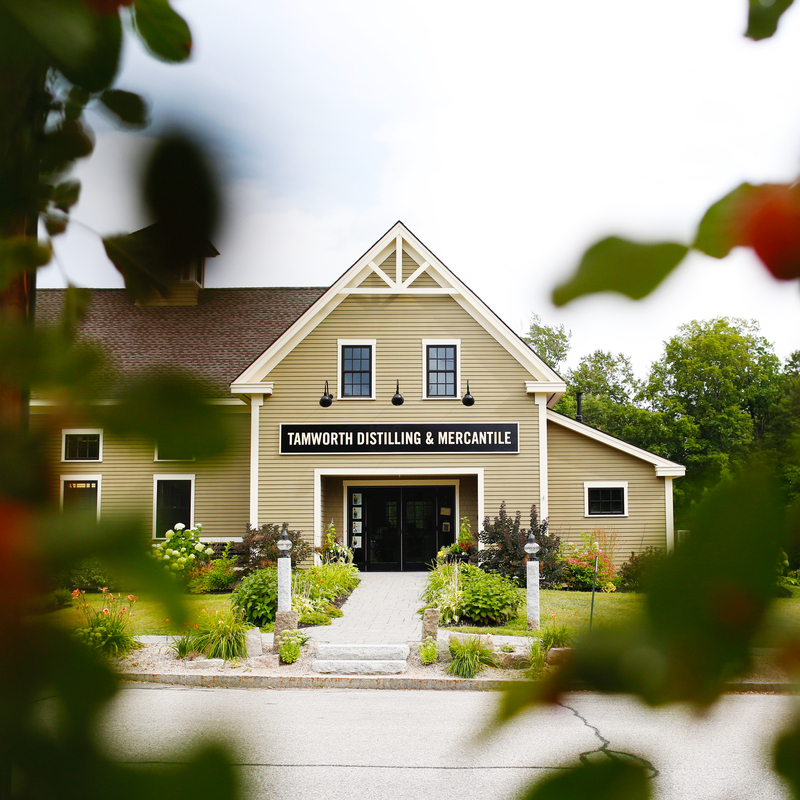 Happily, Tamworth Distilling sits between the White Mountains and it’s snow runoff and the Lakes Region. This natural water is used to break down grains and nourish our yeast with food and minerals, who in turn give us alcohol and flavors that give us a sense of place. It also makes up 60% of a 80 proof finished spirit, we go to great lengths to further filter and purify our aquifer water. 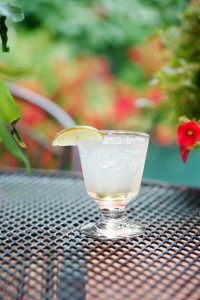 Water is crucial in the biological process of mashing and fermentation, where it is the medium that extracts carbohydrates and sugars from the grains and allows for yeast to float around eating the sugars to create ethanol and the various flavors we attribute to spirits. This grain, water, alcohol mixture (called wash) is distilled, pulling off the alcohol (for further distillation) and water is left behind. This alcohol and water (now called low wines) is redistilled a number of times to leave behind more water and further purify the alcohol. In the case of our vodka, gins and many infusions, the initial amount of water after multiple distillations is <5% (95% ethanol). 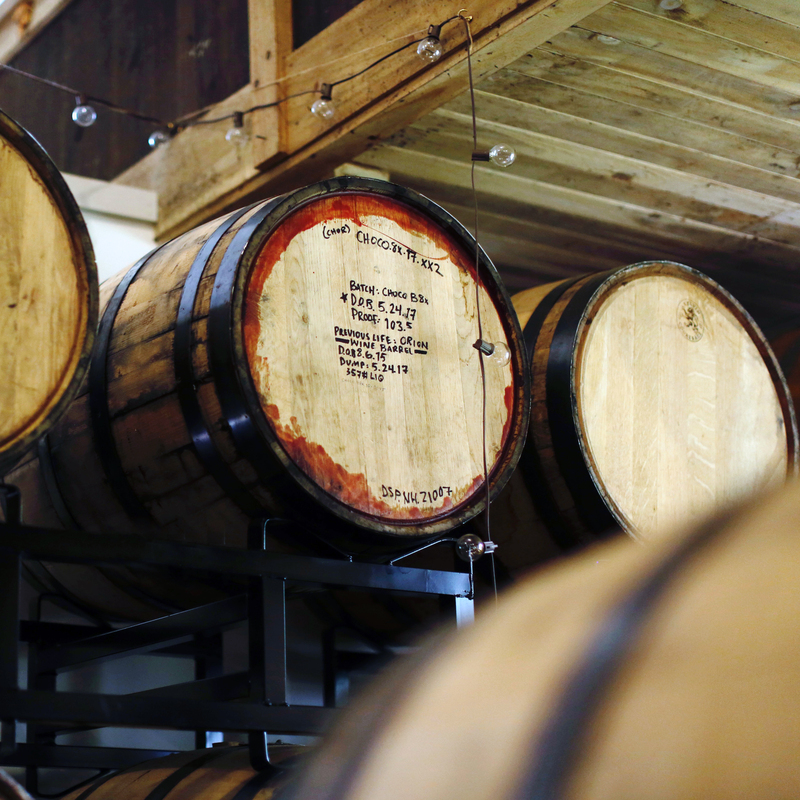 Furthermore, water is used to bring that high percentage of alcohol to a bottling strength, called proofing. 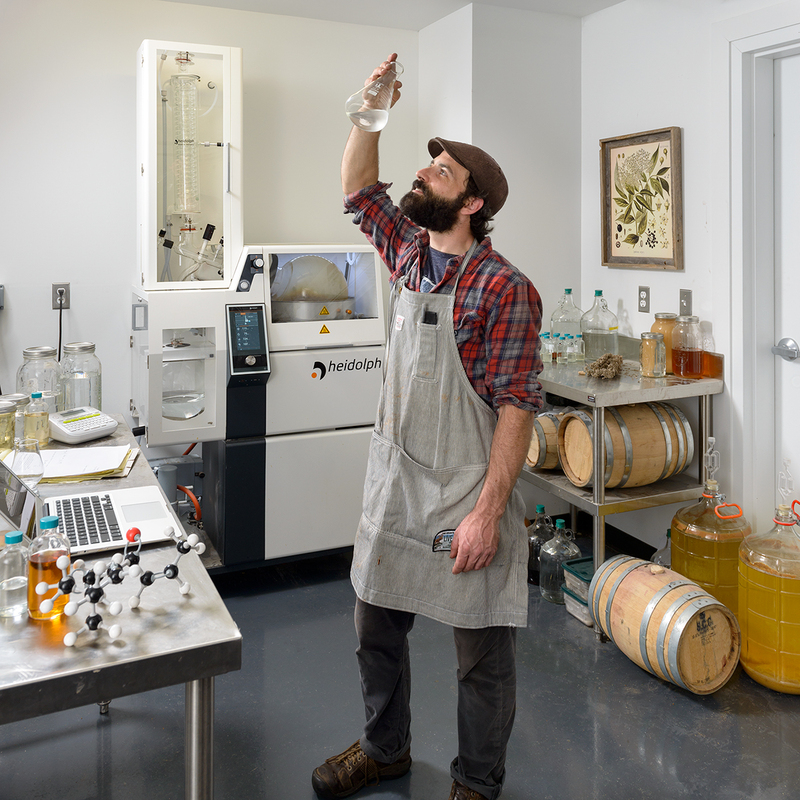 This proofing, in our case, is treated like an ingredient in the process and we use a UV/Reverse Osmosis filtered White Mountain water in our spirits before bottling. This is the step that takes a 95% alcohol distillate down to a 40% Alcohol by volume Vodka. The other 60% of that bottle is Reverse Osmosis mountain water. Water is also used in the process of cooling and heating our production equipment, such as steam for our still and cooling jacketed tanks. 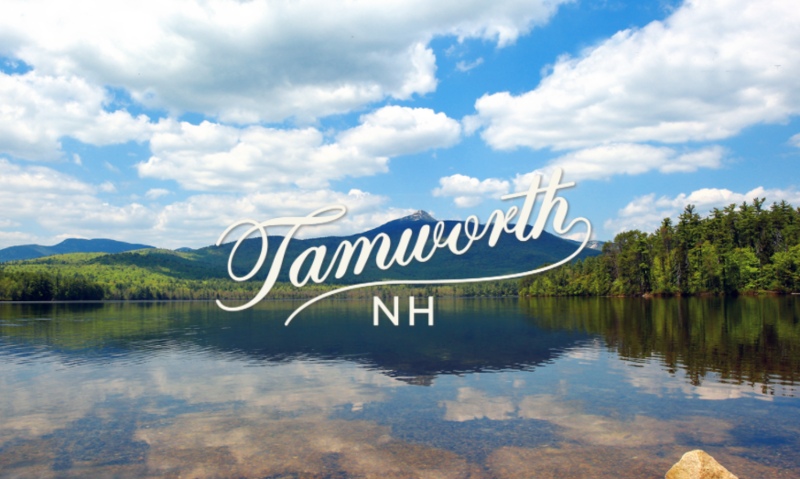 We recognize how lucky we are, and take great strides to preserve Tamworth’s naturally abundant fresh water. While our distillery runs on water for many uses in our production, we took an creative approach to reclaim as much as possible. 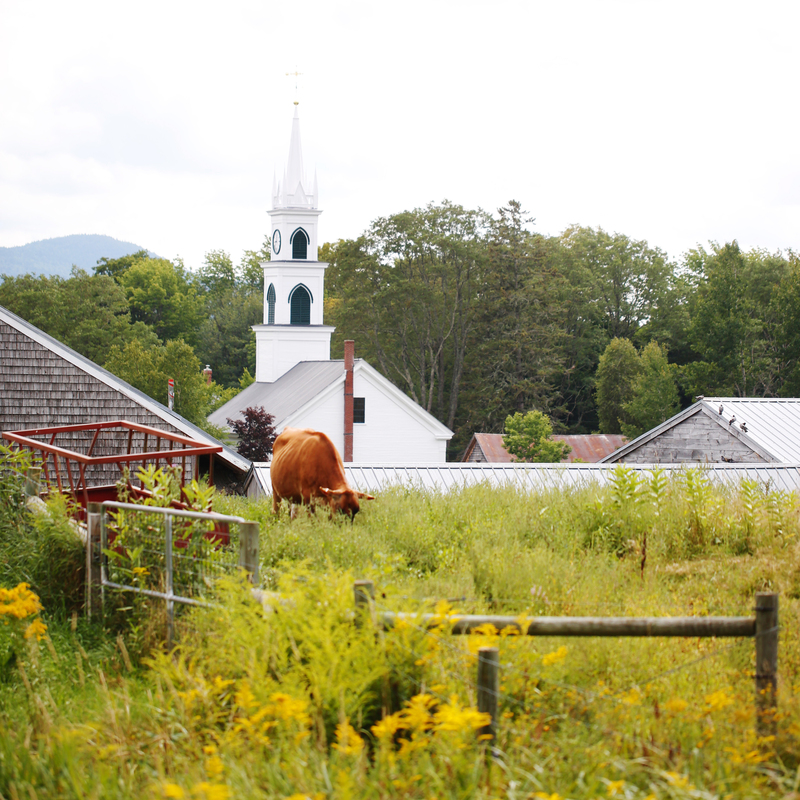 Our entire distillery water usage is less than a 6 bedroom household.